Hello everyone! Do you love cards, notebooks, stationary and pens? If you are like me, you are constantly in need of cards. 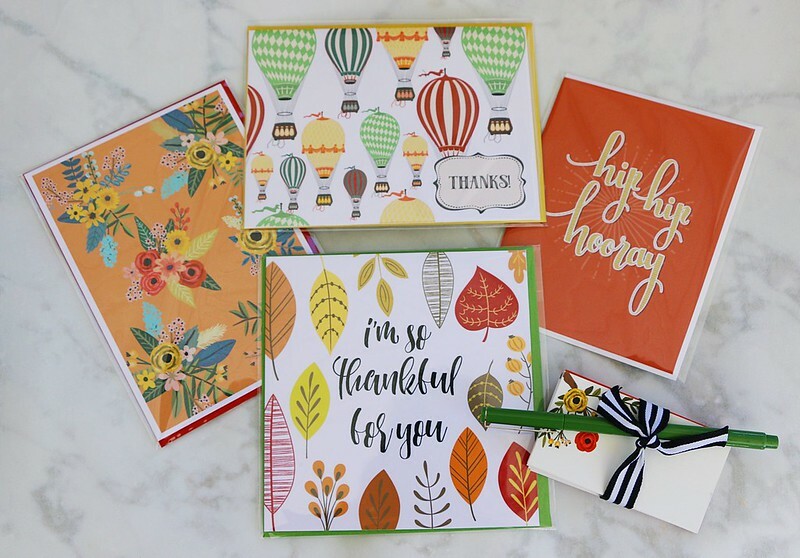 Well, I have found a way to have cute cards on hand and delivered to your doorstep every month! 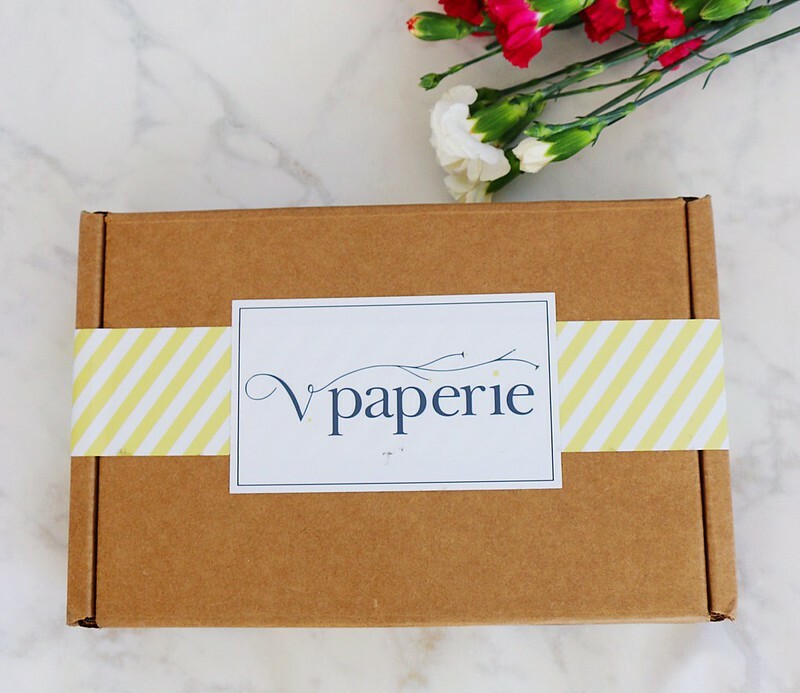 V. Paperie is a monthly subscription box filled with digitally printed cards, pens, notebooks, calendars etc. 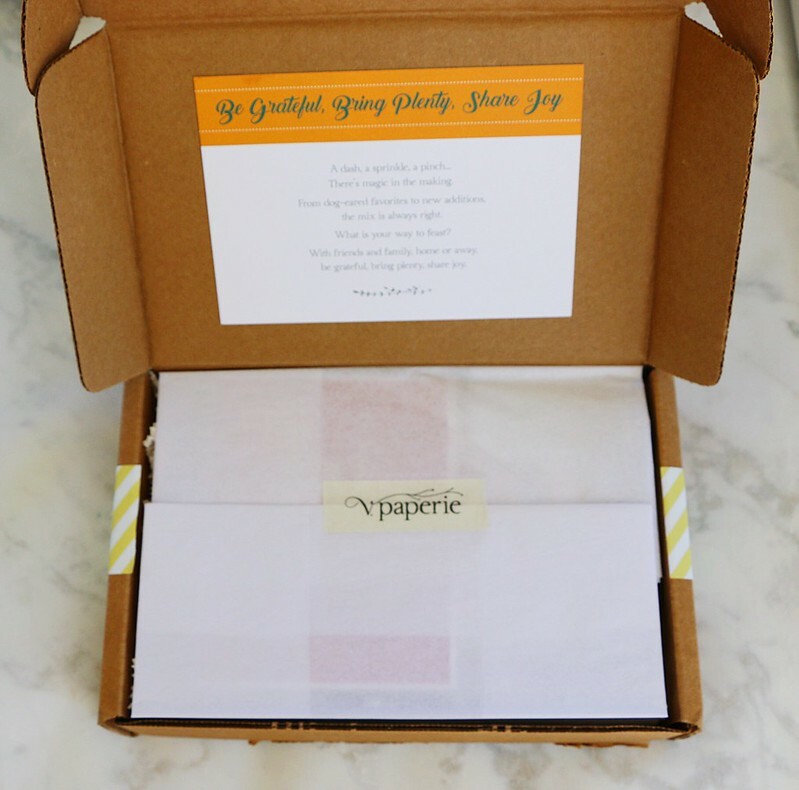 The box ships on the first of every month and each month will contain items with a specific theme. 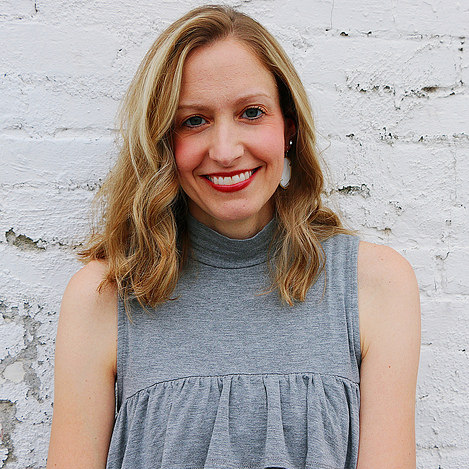 You have the option of subscribing month to month, every three months, or every six months. The box that I received had such adorable packaging! It contained items with a Thanksgiving theme. 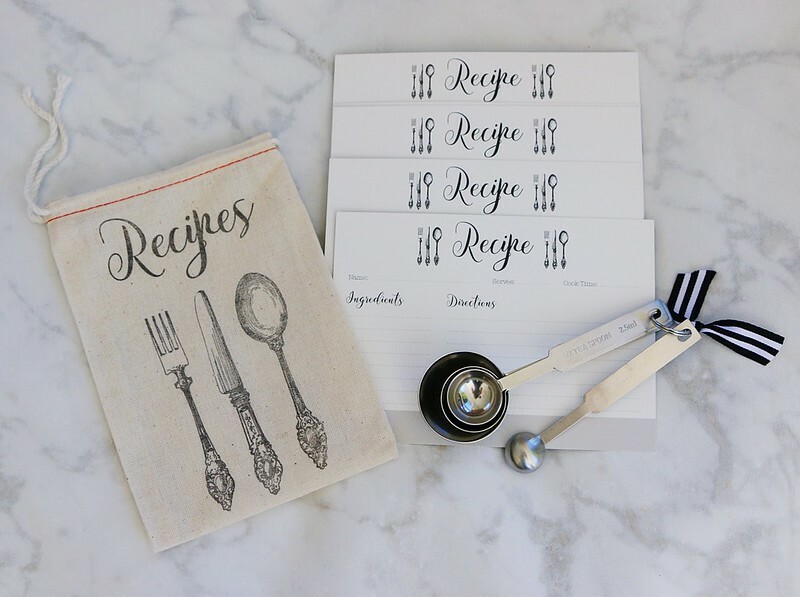 It had the cutest little hand stamped pouch filled with recipe cards, measuring spoons, four different digitally printed cards with matching envelopes, a fine point pen and place cards. I mean who doesn't like to receive a fun package in the mail each month? This would be such a fun and unique gift idea as well! 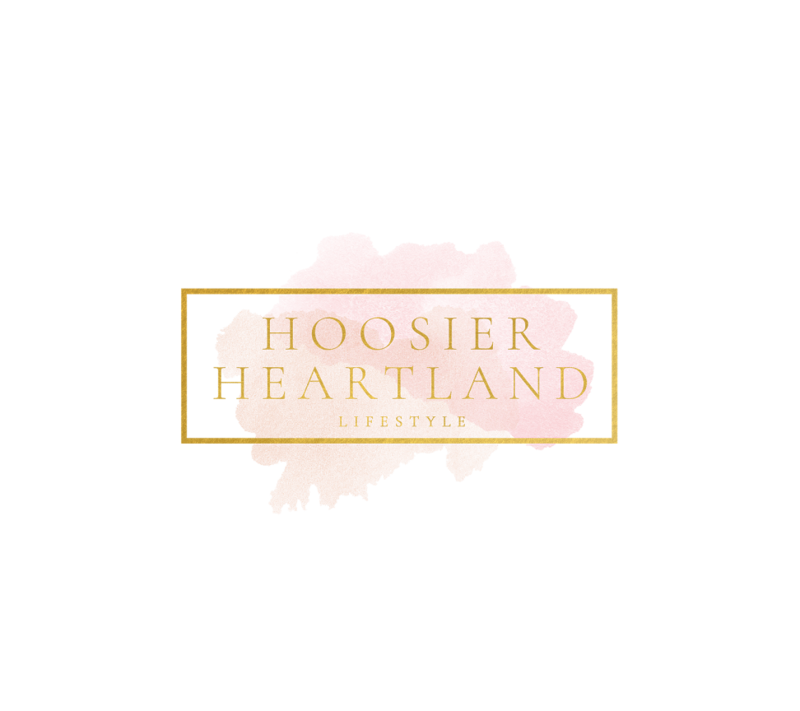 You can sign up for your subscription here! Disclaimer: this post was sponsored by V. Paperie but all opinions are my own.